Nashville, TN (October 12, 2018) – StowTown Records recently added Tiffany Coburn to their roster of artists through a partnership with Narrow Gate Entertainment. 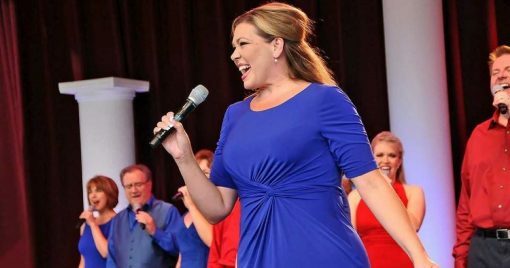 Tiffany brings years of experience as a performer, which includes Walt Disney World, the acapella group Voctave and with various symphonies across the country. Tiffany’s debut project, Near to the Heart: Cherished Hymns & Songs of Inspiration, will release digitally in November and to retail in January, and is co-produced by Wayne Haun, Trey Ivey, Mike Swift and Jamey Ray. Her first single, “The Way of Love,” shipped to radio this week and is available today at all digital outlets worldwide. Near to the Heart: Cherished Hymns & Songs of Inspiration is distributed exclusively by Sony/Provident.